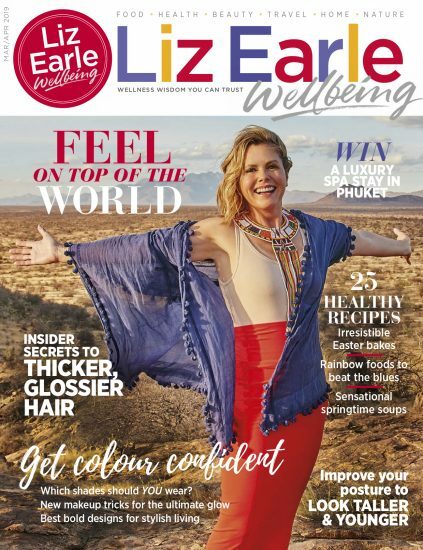 Liz Earle Wellbeing is a inspirational lifestyle magazine bursting with fresh ideas to eat well, look good and feel great. You can subscribe here to be amongst the first to receive each new issue. Liz Earle MBE is our Editor-in-Chief and you can read more about her publishing career in the next section, About Liz. Having founded the magazine in 2014, Liz’s trusted voice of wellbeing wisdom can be found on pretty much every page. When not reading her emails, Liz can be found on her pasture-fed organic farm feeding her chickens and egg-collecting. You can also follow Liz on her personal social media too, where you’ll find her @LizEarleMe on both Twitter and Instagram. Basil is the Wellbeing wonder dog and office cheerleader. One of the newest additions to the Wellbeing team, and adopted by Lily from Battersea Dogs Home, Basil has learnt the ropes and jumped into her roles as chief floor cleaner after our food photoshoots and nature walk leader when the team need a break from their laptop screens. Basil loves cuddles from all members of the team and considers herself a well-trained lap dog. She is a natural-born leaf chaser, flower smeller and lover of the outdoors. You can follow her adventures on Instagram @botanical_baz. Sarah Raven, our gardening guru, worked as a doctor before becoming the award-winning gardener, cook, published author and television presenter. Dale Pinnock BSc (Hons), Pg Dip (Nutr Med), aka The Medicinal Chef, is a bestselling author and TV presenter, with a degree and postgraduate diploma in nutrition. Fiona Hunter BSc (Hons) Nutrition, Pg Dip (Dietics), is a highly respected, experienced and qualified nutritionist, food writer and broadcaster. Abigail James, the international facialist, is a published author and one of the UK’s most celebrated skincare experts. Hannah Martin, celebrity makeup artist with over 15 years of experience, is a celebrated blogger, YouTuber and bridal expert. Tamzin Ferdinando is our supremely talented prop stylist who has been with us from the very beginning and continues to play an instrumental part in shaping the brand’s look and feel. Nico Ghirlando, aka The Modern Husband, has a professional background as both a food photographer and chef, and is a celebrated food stylist, food and recipe writer.